The entire suki skin care collection is 100 percent free of synthetics and uses natural extracts to achieve results. In clinical trials, the 84 percent of women who used suki products saw dramatic improvements in the look and feel of their skin. The all-natural skin care range contains a complete lineup of formulas, including cleansers, masks, serums, eye and lip products and moisturizers, which can be combined to create effective, yet safe daily skin care regimens. See our Q&A with Suki Kramer, Founder of suki. Having experienced skin problems her whole life, Suki Kramer collaborated with herbalists and chemists to formulate a range of products that are both natural and effective. Her namesake company is committed to providing high-performance, healthful cosmeceuticals that allow each woman to meet their unique skincare needs. Begin your beauty regimen with the best-selling suki Exfoliate Foaming Cleanser. It gently exfoliates the skin using natural sugar, and purifies pores with lemongrass. To activate the cleanser, take a dollop of the formula in damp hands and massage it between your palms. Use circular motions to apply to the skin. 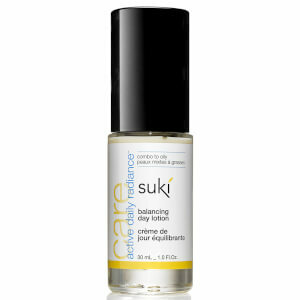 After rinsing off, follow with the suki Concentrated Balancing Toner. This toner is specially formulated for inflammation-prone skin. If you're interested in a more targeted blemish-fighter, try the suki Transformative Cleansing Clay. This leave-on formula draws out impurities from your pores thanks to white willow salicins and zinc. For cleansing, leave on for five minutes. To address more stubborn blemishes, the clay can be applied to red spots and left on the face overnight. 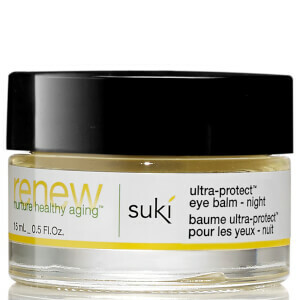 The suki Eye Repair Balm helps to prevent the signs of aging in the delicate eye area. The salve contains nourishing botanicals including carrot oil, evening primrose, and grapeseed. Simply press a small amount of the formula around the eyes, once in the morning and again at night. The elements can take their toll on lips. Reach for the ultra-protective suki Lip Repair Butter to minimize chapping and discomfort. The balm contains jojoba, non-GMO soy, and chamomile to keep your lips naturally soft and moisturized. Whether you are one of the fortunate few who have "youthful" genes that enable to look years younger than they are for years and years or you have to work hard for your young-looking skin, creating a skin care regimen with formulas that avoid harsh chemicals can help to keep your skin soft and supple. Each of the available suki Products offer the skin exactly what it wants and needs to stay fit and healthy - rich, nourishing ingredients that hydrate, moisturize, and restore the skin's cells to a healthy existence. Why suffer with the damage that life or unsuitable skin care formulations have created for your skin when you can indulge in the clinically proven good ness contained in suki Products? Containing natural ingredients and one hundred percent free of detrimental synthetics, the full range of suki Products has been designed to deliver desirable results for women with more skin types. Why not take a look at what is currently up for sale and choose a new skin care regimen that has been designed to deliver efficacious solution for many common skin maladies? Problematic skin issues can disrupt the natural beauty of your complexion, especially those associated with aging or environmentally damaged skin. Fortunately, a number of suki Products have been formulated specifically to do away with these difficulties, restoring the radiance and elasticity of your skin easily and successfully. 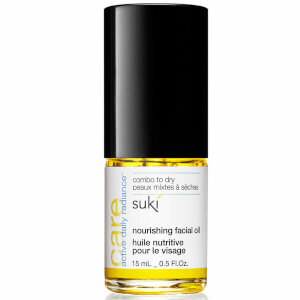 Specifically designed to deal with the skin concerns of mature and rosacea-afflicted skin types, the replenishing formula of suki Pure Facial Moisture - Nourishing features an oil concentrate that is rich in fatty acids, omega oils, flavonoids, and beta carotene pro-vitamin A. Restoring the stable nature of your skin as it encourages elasticity, this breathable solution locks in moisture without making your skin feel greasy. It is perfect for mature skin that needs to fight off the onslaught of free radicals. Offering a vegan friendly formulation, suki Concentrated Nourishing Toner is designed to balance the skin's pH and improve its strength and firmness as it prepares the skin to receive the active ingredients in follow-up treatments and moisturizers. Its unique blend of ingredients (polyphenols, flavonoids, entinan, and powerful botanical concentrates) is intended to remedy issues related to external stress, the natural aging process, and free radicals. This fortifying toner is suitable for mature, fragile, normal, and combination to dry skin types. No matter what skin type you have, you can indulge in the vegan friendly formula of suki Eye Repair Balm to deliver nourishment that helps to fight off wrinkles and the loss of elasticity. Its rich infusion of fatty acids, polyphenols, omega oils, and beta carotene perform in unison to deliver fresh hydration.